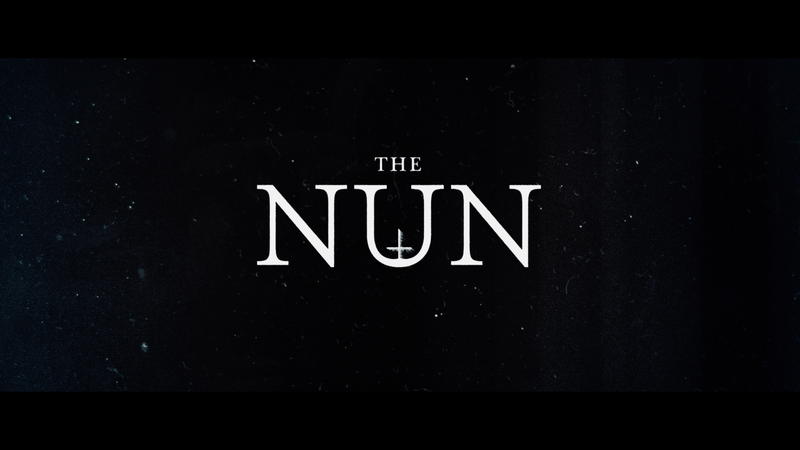 Very faint praise perhaps, but The Nun is perhaps the better of the three spin-ff movies? Yes, I meant a question mark there… It has a decent atmosphere to it, taking advantage of the Romanian landscape and creepy abbey. Having said that, it is at times pretty dull. Warner Bros. Home Entertainment provided me with a free copy of the Blu-ray I reviewed in this Blog Post. The opinions I share are my own. The Nun takes place in 1952 in Romania where at a remote abbey something demonic has punched through into our world, and the only ones in its path are some nuns on a constant prayer vigil to keep it at bay. The film opens with one of the nuns hanging herself and later discovered by a man nicknamed Frenchie (JONAS BLOQUET) while delivering necessities to the castle. Once word reaches the Vatican, they send Father Burke (DEMIAN BICHIR) along with Sister Irene (TAISSA FARMIGA), to investigate and interview the nuns on what occurred. 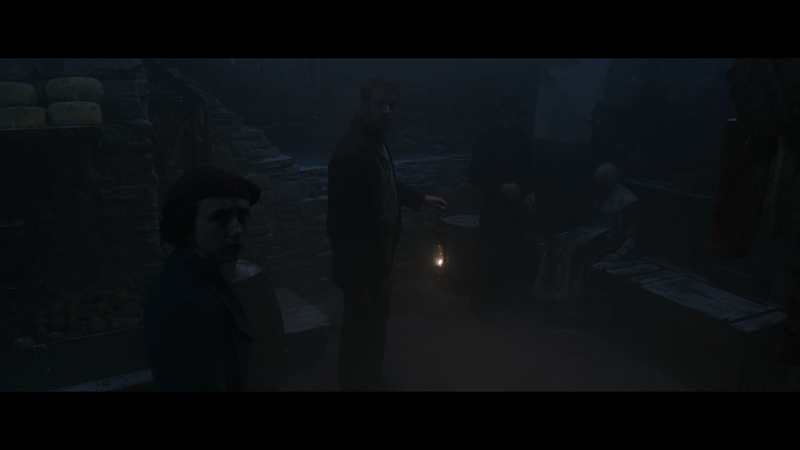 You can take a stab what happens next as we get some “scary” moments and, of course, The Nun making her “creepy” appearance. I actually didn’t hate The Nun like I thought I would, especially considering how Annabelle turned out, and while the movie certainly wasn’t very good, in fact I’d say it was downright dull at times; there were some things to appreciate. 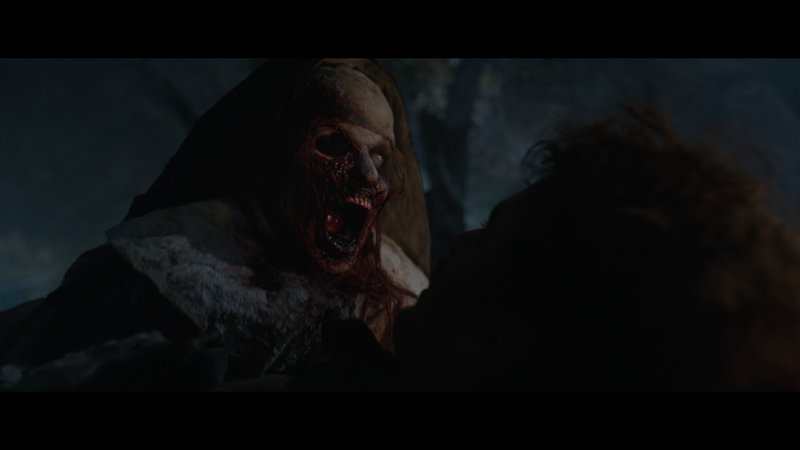 The cinematography (Maxime Alexandre; Silent Hill: Revelation, Shazam) and production design (Jennifer Spence; Paranormal Activity 2-4, Insidious 2 & 3, Shazam) were both pretty good, and the direction by Corin Hardy, marking his second feature film following 2015’s The Hallow, which I had never seen, was at least adequate and a decent visual flair. Casting wise, nothing terribly noteworthy with the core three. Demian Bichir as Father Merrin, I mean Burke, was alright in the lead and Taissa Farmiga, who I absolutely adored in The Final Girl, was serviceable, though it is really distracting when we see her sister, Vera Farmiga, make a cameo appearance as Lorraine, considering the two have similar looks, I honestly was expecting Farmiga’s Sister Irene was some distant relative or something, and why not? It’s not like the Conjuring movies, despite being based on true events, stuck to the real lives of the Warrens. In the end, The Nun is a rather forgettable supernatural-horror movie with some interesting elements, to go along with some respectable make-up and visual effects to it. While it is better than something like Annabelle, I can only hope perhaps The Conjuring 3 might wrap this universe up, but considering something as poorly received (both audiences and critics) as The Nun still managed to make a massive $365 million worldwide box office off of a mere $22 million budget. Nice return. This release comes with a matted slip cover and inside is a redemption code for the Digital HD copy. Not a packed set of special features, there are three featurettes: A New Horror Icon (5:18) on The Nun character; The Conjuring Chronology (3:50) about where this fits in that universe; and Gruesome Planet (6:18) about the country of Romania and what its dark history. And there were a handful of Deleted Scenes (12:18) that failed to make the cut. The Nun enters the Blu-ray portal presented in the film’s original 2.40 widescreen aspect ratio and given a nice looking, if not also dark, 1080p high-definition transfer. Detail on this is pretty sharp throughout while colors are on the muted side to say the least. The bulk of the film does either take place inside the dark abbey or when outside at night, so colors are not exactly going to be vibrant other than the ending where we actually do get some bright sunshine. Otherwise, it’s pretty clean with no discernable bouts of artifacting or aliasing. Thankfully Warner did not go the same route as Sony or Fox providing the same audio codec as its 4K release (hopefully review coming soon). The Dolby Atmos track is rather strong especially when the demon(s) attack or at least to wake the viewer up when things slowed down. Other than that, dialogue comes through the center channel with good clarity and the rear channels do get a nice workout with a variety of ambient noises. 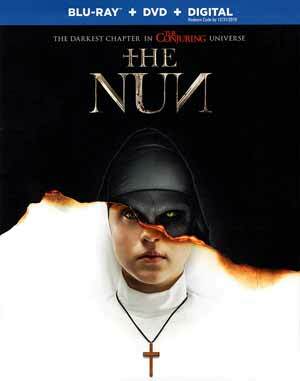 Very faint praise perhaps, but The Nun is perhaps the better of the three spin-ff movies? Yes, I meant a question mark there… It has a decent atmosphere to it, taking advantage of the Romanian landscape and creepy abbey. Having said that, it is at times pretty dull and honestly, not sure I cared all that much about The Nun’s origins, but apparently many did considering its bucko box office. The Blu-ray release offers up great video and audio transfers but lackluster bonus features. Check out some more 1080p screen caps by going to page 2. Please note, these do contain spoilers.